This video is a paid sponsorship by Udemy. Right now at Udemy you can buy more to save more; 1 course for $13.99, 2 courses for $12.99 each, and 3 courses for $9.99 each. In this Monster Hunter World video we take an in-depth look at monster and elder dragon behavior, their animations and actions, and how long the windows of opportunity stay open for hunters to take advantage of those openings. Also, there's a breakdown of the Best Damage Per Second (Best DPS) for every weapon's hardest-hitting strike, focusing primarily on the Long Sword, Charge Blade and Dual Blades as they are the Top 3 performing weapons in Monster Hunter World. The animation and best weapon DPS breakdown is then followed by 3 Extremely Powerful Builds in Monster Hunter World. 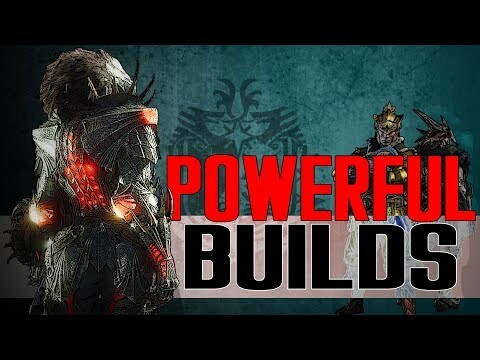 These builds are very open-ended but are very powerful. The builds cover the skills of Capacity Boost, Artillery and Attack Boost for a great Tyrannis weapon set. Additionally the video discusses Super Recovery, Speed Recovery and Peak Performance of the Vaal Hazak armor set. And finally the last build covers an extremely powerful healing support class with the skills Wide-Range, Speed Eating and Quick Sheath.